Boomer women are different. We were born into the post WWII era when things began to change for women. Our mothers went to work, we got college degrees and became nurses, teachers, lawyers, architects, doctors and accountants. Fast forward to today and we are living longer than our mothers and grandmothers. We’re healthier and more active. And many of us are single – either still, or again. The oft-repeated mantra of our early years – “You’ve Come a Long Way, Baby,” has proven true. In so many ways we are independent, self-sufficient and confident. But we’ve still got a long way to go – both figuratively and literally. So this holiday season, why not start acting like the independent Boomer women we really are? Let’s go somewhere. It’s time to hit the road! You don’t need to travel alone. Each year The Women’s Travel Group ( www.thewomenstravelgroup.com) offers both Thanksgiving and Christmas Trips. Don’t stay home for Thanksgiving. Give yourself a Thanksgiving trip with other women who wish to be thankful while laughing and dining with you. Newly single? Make new memories about holidays, instead of being a third or tenth wheel. Never married or in a partnership? You will feel just at home with a group who do not question or pry. Portugal for Thanksgiving (Nov 20 – 26, 2017) is timely as Travel & Leisure recently named Portugal their Destination of the Year. A small country, only a hop across the Atlantic, Portugal feels like the Europe we visited in the 1960’s. A country of old world charm, with few crowds, Portugal still offers surprises. The oldest kingdom in Europe! Lisbon is older than Rome, Phoenicians lived here in 1200 BC! Fatima is a real place! Some of the best pastry in Europe is from Portugal because the many nuns and monks used egg whites to stiffen their collars. Then, needing something to do with the yolks, they put them into wonderfully rich pastries. Pastries, with names like Papos de Anjo (Angel’s Double Chin) and Pastel de Nada (Custard Tart) which are still sold today. Christmas is a tough holiday if you are alone. But it is a terrific holiday in Eastern Europe, with its many festivities, music, lighted towns and traditional foods. Our Christmas Danube cruise on AMAwaterways is a luxury cruise with special single rates. Many of the famous Grimm’s fairytales emanated from the areas we visit, which is why the Danube towns look like fairytale pictures. So again don’t stay alone or with relatives who love you but also feel an obligation. Treat yourself to a seven night Christmas and New Year’s cruise and dine on Dec 25 in Prague with a $75 gift from us. All cabins are like hotel rooms with flat screen tv’s, internet access, wifi, lovely bathrooms, and amenities you find the top hotels. On Christmas Day, dine with us and get a $75 refund to cover your amazing Czech dinner. The most important part of travel during emotional holidays is that you create new memories with new friends. Then when you look back on the trip, you see yourself smiling. You’ll find information on both trips mentioned above, as well as others on our website at TheWomensTravelGroup.com/tours. 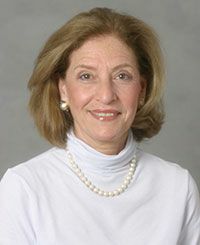 Phyllis Stoller, NABBW’s Group Travel Associate is founder of The Women’s Travel Group, a tour operator which specializes in smart vacations for smart women, was recently honored as one of the 14 most influential women in Group Travel by Group Travel Magazine. The Women’s Travel Group works with travel agents and is a strategic partner of SITA World Tours.